Description: Unlined raglan sleeve jacket has collar, sleeve and length variations. As you see, I'm quite smittened with these cropped jackets. It really doesn't get "coat-cold" here until around January, so I'll get a lot of wear out of these jackets for the next couple of months. I sewed this jacket last week, I've just now found the time to photograph it. 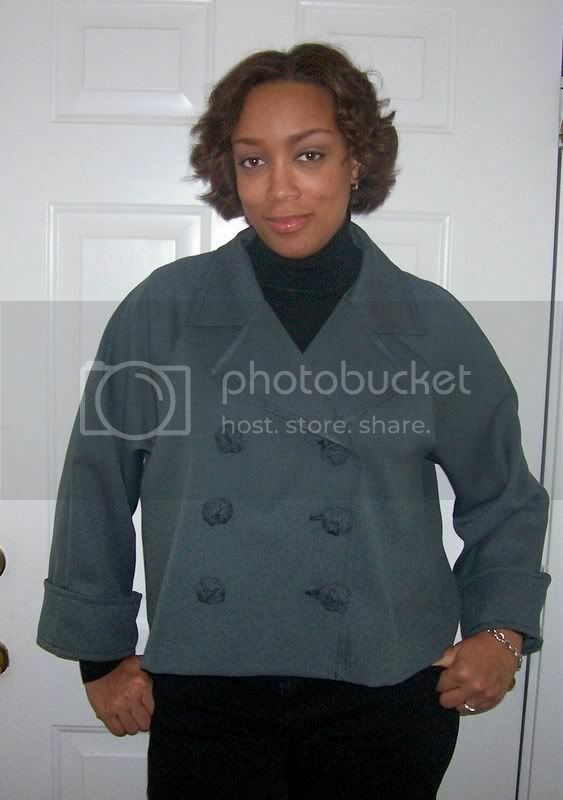 This jacket is a combination of views C & D. This is a Butterick Fast & Easy pattern and it was. I made this jacket before I did the previous one and it did not come with instructions for a lining and I didn't quite understand how to make it work so I just used a Hong Kong seam finish. View C required six buttons, but I used eight (six on the outside and two inside). I couldn't really find buttons that accessorized the fabric well so I decided to cover plain black buttons with leftover fabric. 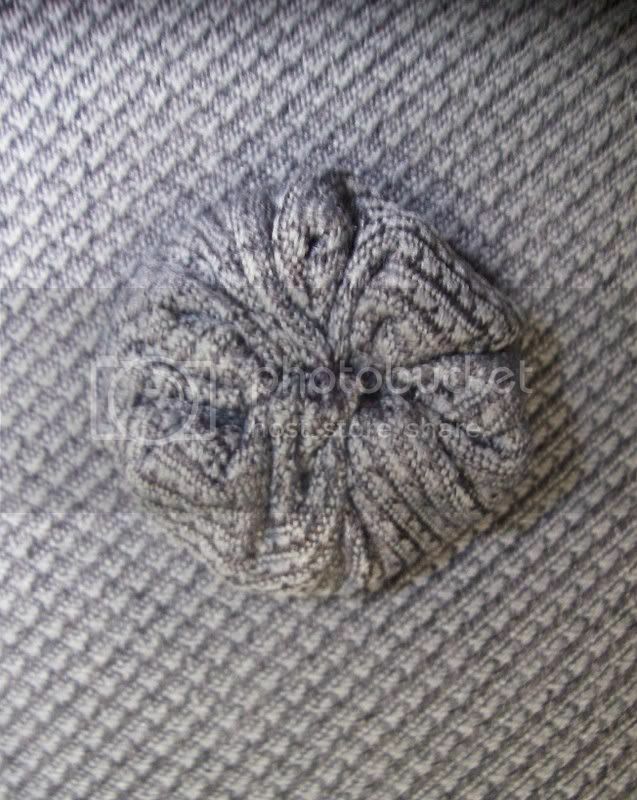 I decided to use this tutorial to make fleurchon type of button cover a la Angela Keslar of PR. I went ahead and made the belt from view D to have the option of wearing it belted or not.